Flat lashes are our most dramatic eyelash extension. Instead of being round, this lash type is flattened to look wider, yet weigh the same as a traditional eyelash extension type. 0.18 flat lashes look like a 0.20, but only weigh the same as a 0.18 lash. 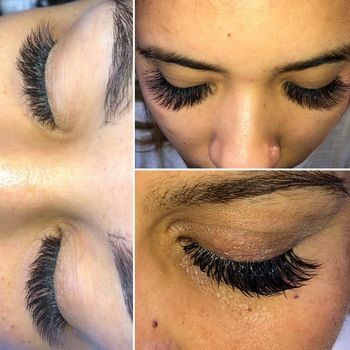 If your client wants the drama, but can't handle a thicker lash... flat lashes are for you! Love, love these lashes! They look so nice on the eyes.. perfect curl and blackness to them. Sugar lash never disappoint!! Perfect !! Thank you for sharing this gorgeous set! WOW! This is such a stunning set, Danielle! Thanks for sharing! Love the look of these lashes! Quick shipping and great customer service!